LIMBO is a modern paper towel holder with an integrated tray allows the user to keep their essentials on hand and easily accessible. 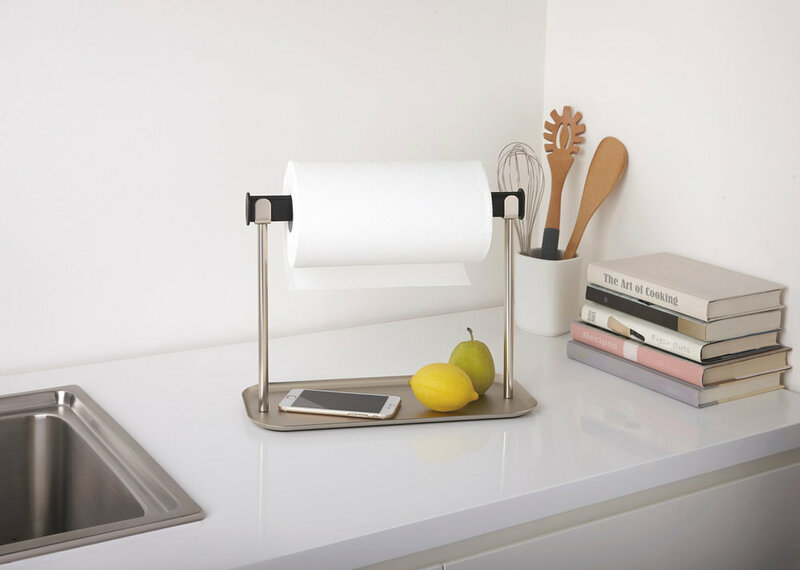 This paper towel holder can be moved around the kitchen and into other spaces as needed and allows for a one-handed tear. The creation of LIMBO inspired by a traditional popular dance contest from the island of Trinidad. LIMBO original was from the course Metaproject 07 at RIT. In keeping with the Design is One Philosophy espoused by Vignelli Center for Design Studies. The Metaproject aims to produce design that is “semantically correct, syntactically correct, and pragmatically understandable, but also visually powerful, intellectually elegant and timeless”. LIMBO combined the Design is One Philosophy with Umbra’s aesthetic and design elements. It features a tray for storing small items like phones, hand cream and more. Help keep your counter organized as well as prevent it from toppling over, ensuring it stays firmly in place when you tear off a sheet of paper towel. The secret behind LIMBO’s design is the molded pill-shaped rod that secures the core of your paper towel roll so you get an easy one-handed tear every time. 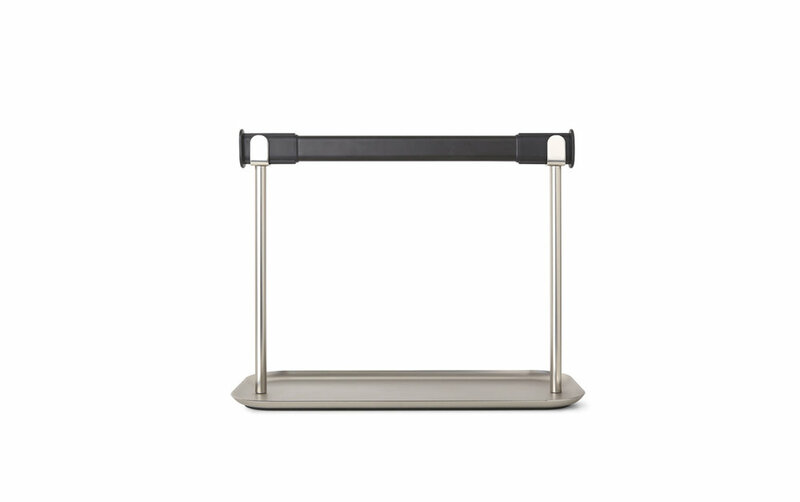 The one-handed tear paper towel holder in plated steel, with a slim profile and integrated rectangular storage tray that helps keep your counter organized.